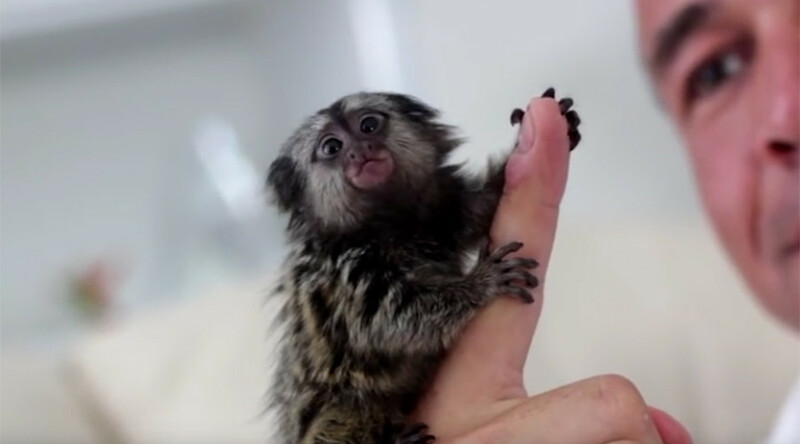 These adorable thumb-sized monkeys are in high demand among China’s wealthiest citizens, even though they’re stolen from South America. The miniature monkeys are so small, and so damn cute, that they wrap perfectly around a human thumb, hence the name. They weigh less than 100g and grow to about 12.5cm. In celebration of the Chinese Year of the Monkey which started last week, there has been an increased demand for the cheeky little buggers with some costing up to US$4,500. The pygmy marmosets are the smallest primates in the world and native to the Amazon Basin in South America. This means they are being caught and transported to China illegally, where they are sold to unsuspecting, or uncaring, buyers. Although the mini marmosets are not an endangered species, their numbers are receding due to the pet trade and loss of the rainforest habitat. So enjoy their cuteness while they’re still here. You don’t even need to spend four grand.